“I have a warm spot in my heart for Saratoga Springs and for its people. I’ll never forget the start I received there. It gave me encouragement to strive higher.” – Harry T. Burleigh, as quoted in The Saratogian, 1964. Harry T. Burleigh may or may not have been discovered by the classical music world in Saratoga Springs. However, during the summers of 1892 and 1894 he was in the Spa City. The published record confirms the young singer’s dedication to work, worship and song which would mark his later life and career in New York City. 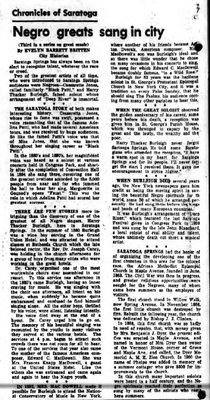 Evelyn Barret Britten's article on the accomplished and well-known African-American singers who gave concerts to the Saratoga Springs summer visitors repeats a piece of well-worn (but not yet proven) lore -- that Harry Bureigh began his career in Saratoga Springs in 1880.
mother of the famous American composer, Edward C. MacDowell. 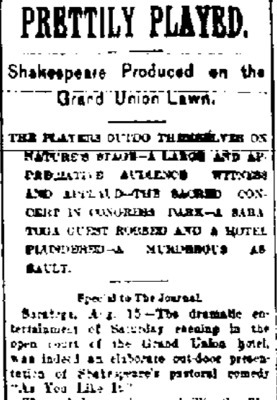 Area newspapers, including the Saratogian and Albany Evening Journal, do not reveal a direct connection between Burleigh and Mrs. MacDowell. Nor do the Bethesda Episcopal Church archives. It seems unlikely that Burleigh first came to the area in 1880, at 14 (as the 1964 article said). In Newspapers seem to first have noted Burleigh in 1892, when an article described the Grand Union Hotel staff member singing in a service at a Y.M.C.A. affiliated with the Presbyterian church. Y.M.C.A. In 1892, Burleigh pefformed at a Sunday service at the YMCA in Saratoga Springs, inaugurating its new rooms at 18-20 Phila Street for worship. 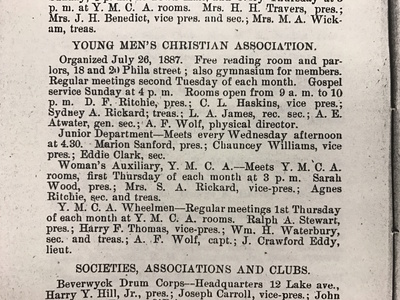 This is a description of the YMCA’s mission and activities from Kirwin’s Saratoga Springs Directory. By 1894, the New York Herald confirms Burleigh’s growing stature. 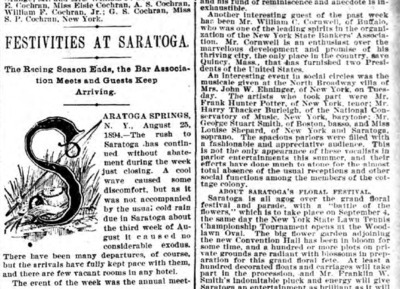 An article on “Saratoga’s Big Season” (August 19) includes Burleigh as a ‘notable guest’ affiliated with the National Conservatory of Music who will sing at a “musicale at the North Broadway cottage of Mrs. John. 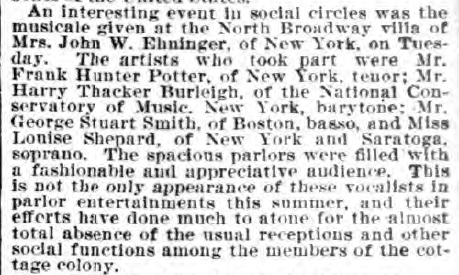 W. Ehninger of New York.” A week later (August 26), the paper reported how the home’s “spacious parlors were filled with a fashionable and appreciable audience.” Fellow African-American singers also performed in town, including the soprano Sissieretta Jones. 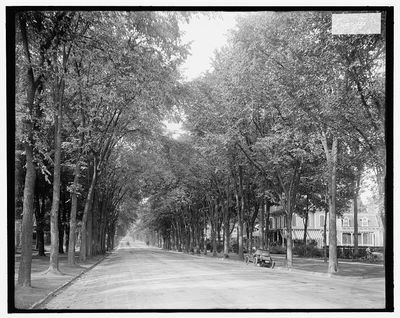 The ‘cottages’ of wealthy summer visitors lined North Broadway. At the top was Woodlawn Park, now the home of Skidmore College. On this street, Burleigh gave a private concert in August 1894.